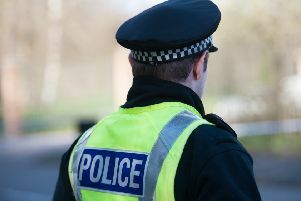 A cowardly robber struck a man from behind then ran off with his bag in Falkirk’s Randyford Street on Friday morning. The 24-year-old victim had left Forth Valley College and was returning to his car when the thug staged his sneak attack, which happened at around 11.45am. The culprit then fled towards Woodburn Street with the bag, which contained personal belongings. The man police are looking for is white, 5ft 8ins tall and slim built, and wore dark clothing. Appealing for witnesses, Detective Constable David Bellingham from Falkirk CID said: “The victim was not injured but was left shaken and deeply upset at the theft of his bag.